The Vikings win the game at the foul line in overtime to advance in Class AA North quarterfinals. AUGUSTA — Nothing came easy. But then, in a playoff game, nothing should. 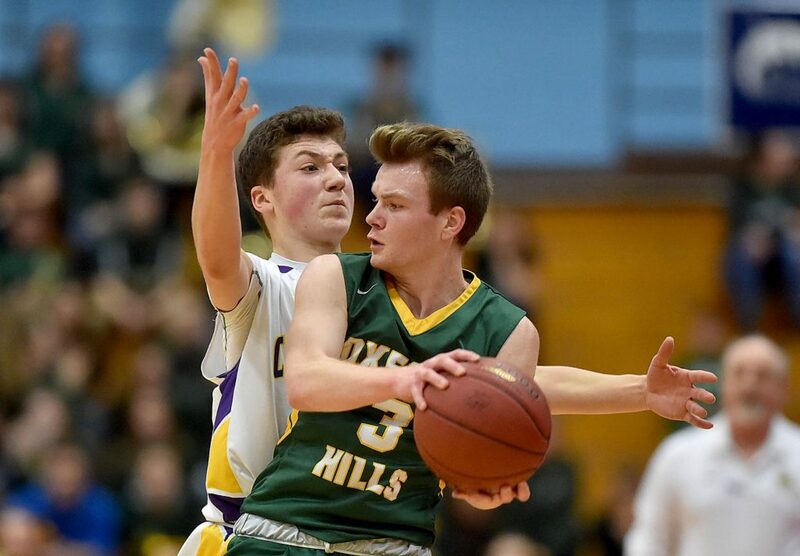 Fifth-ranked Oxford Hills defeated No. 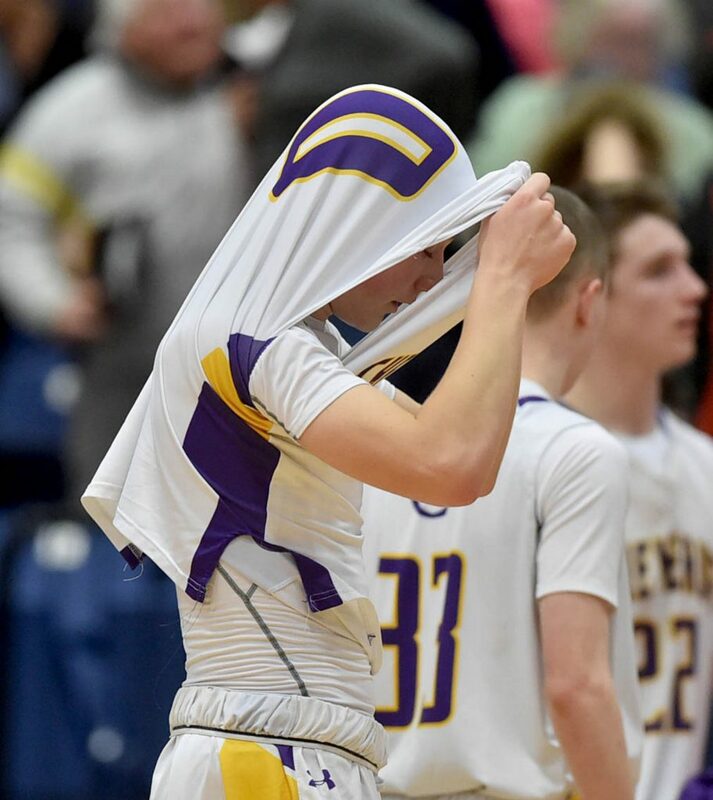 4 Cheverus 53-50 Tuesday night in overtime in the Class AA North boys’ quarterfinals, a scintillating game that wasn’t decided until the final 35-foot shot by Will Shibles rattled out of the basket, allowing the Vikings a collective sigh of relief. “No one should have lost that game,” said Scott Graffam, the coach of the Vikings. 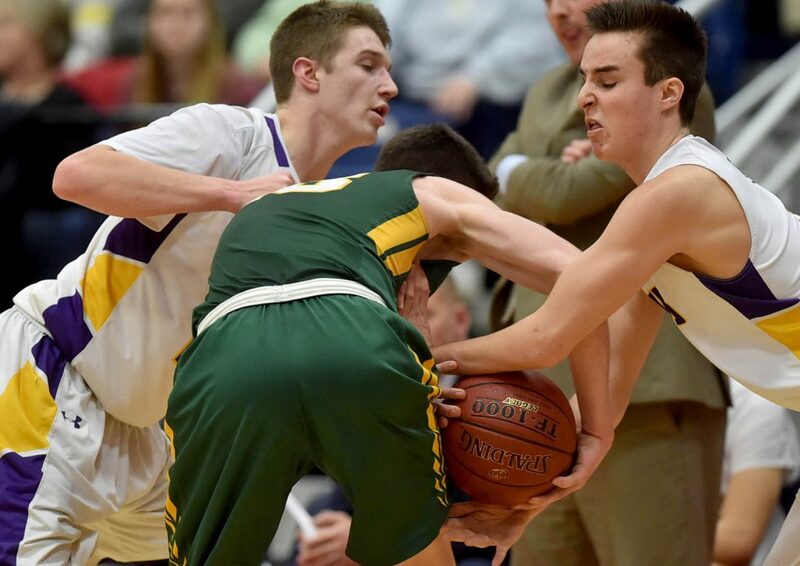 The winning points were scored at the foul line, two by Cole Verrier with 27.1 seconds left to break the 10th and final tie, one by Matthew Fleming with 6.1 seconds left. 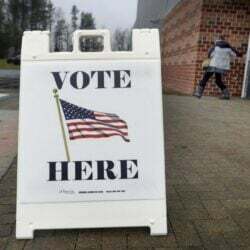 It was close throughout, with 16 lead changes. 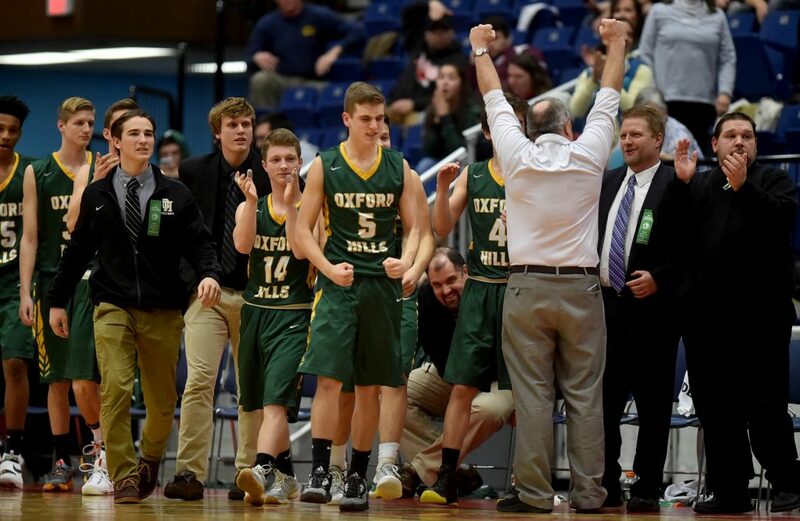 The largest lead was seven, 39-32 by Oxford Hills, after a 9-0 run to close out the third quarter. 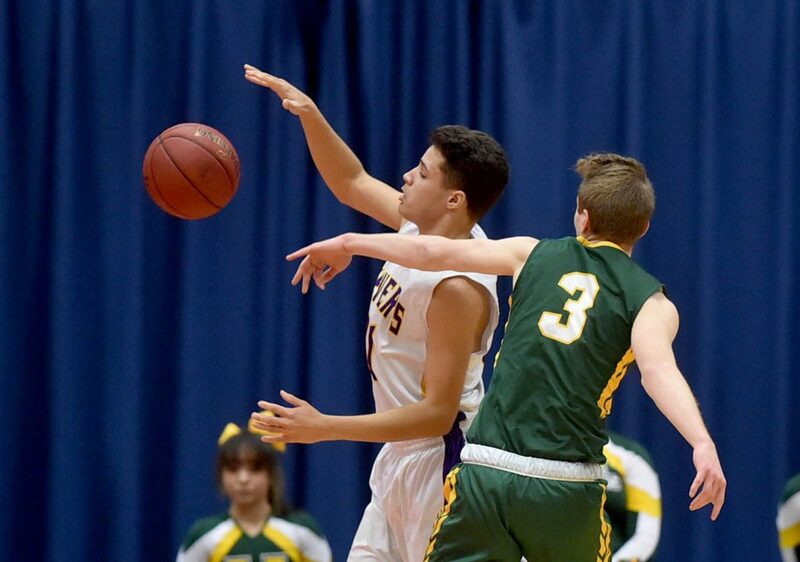 Cheverus’ Jack Casale personally wiped that deficit out by scoring the first seven points of the fourth quarter. The Vikings (13-6) will play top-ranked Portland in the regional semifinals at 9:30 p.m. Tuesday. 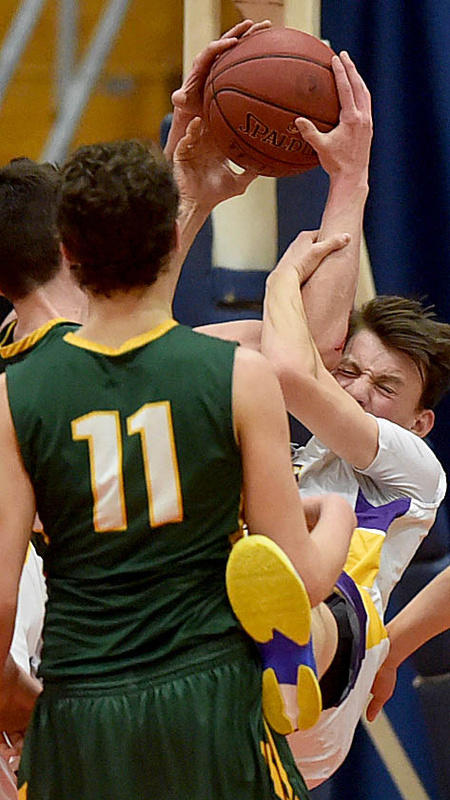 Cheverus, which was missing three key players, finished 11-8. 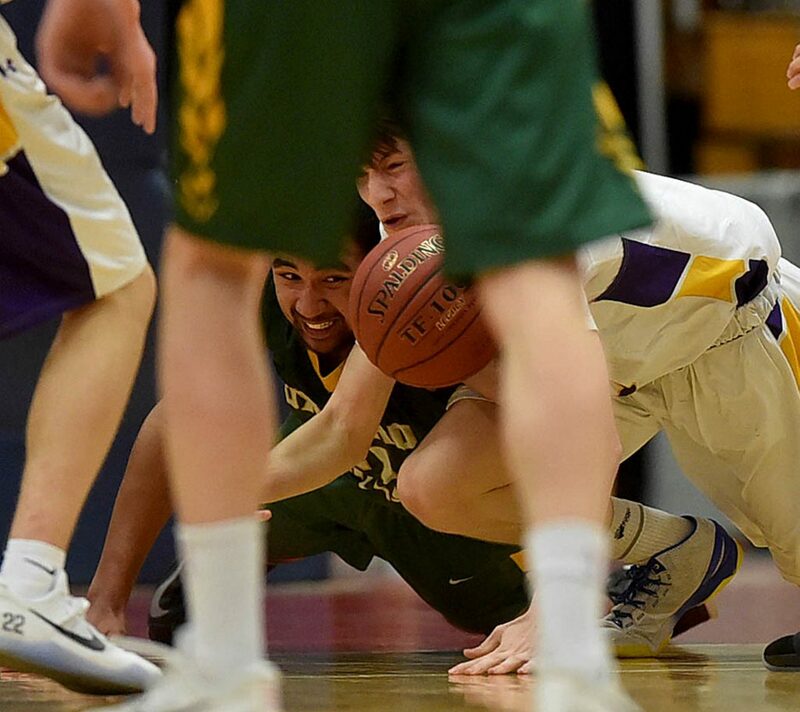 The Stags were without Jesse Matthews, who got two technical fouls in the Stags’ final regular-season game and by rule had to sit out, and Noah Johnson and Patrick Foster, both injured. Matthews’ absence allowed the Vikings to control the inside, especially on the offensive end. 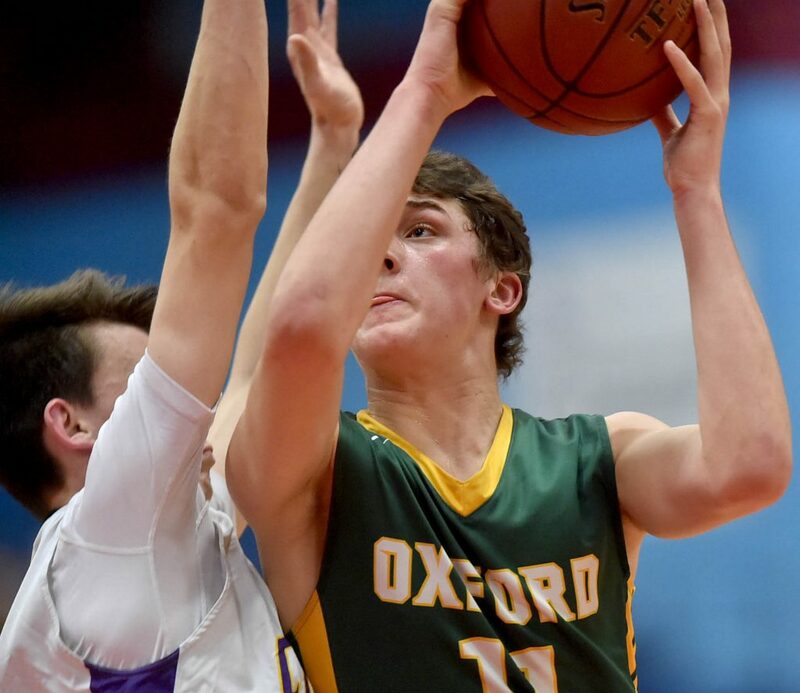 Atreyu Keniston had a career-high 16 points for Oxford Hills, grabbing five offensive rebounds. Colton Carson added four offensive rebounds. Still, the Vikings couldn’t shake the Stags. 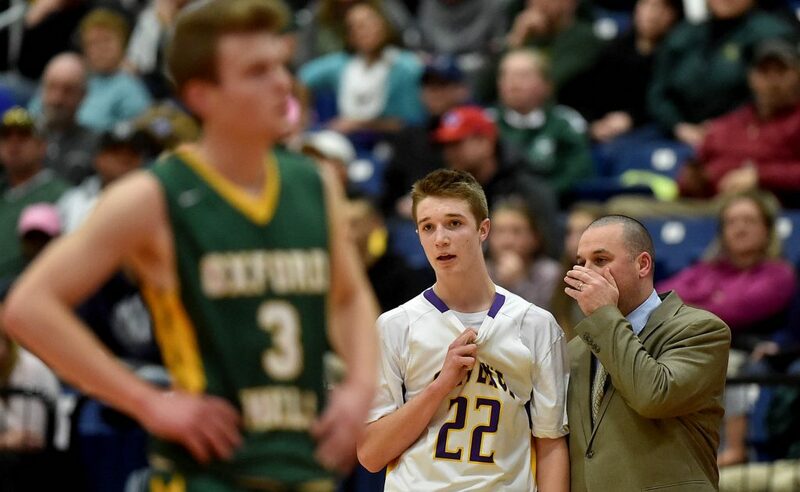 Each time Oxford Hills took a lead late in the fourth, Cheverus responded. 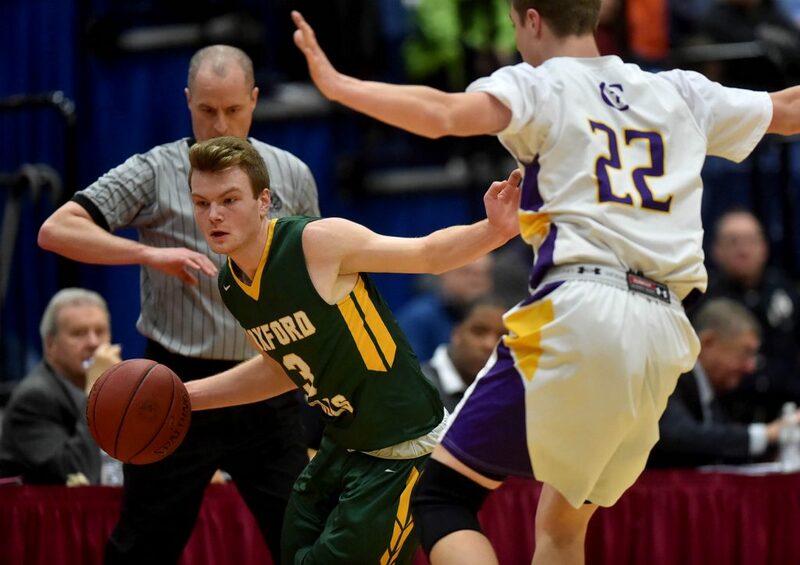 A basket by the Vikings’ Fleming (13 points) was countered by a 10-footer from Matt Duchaine. 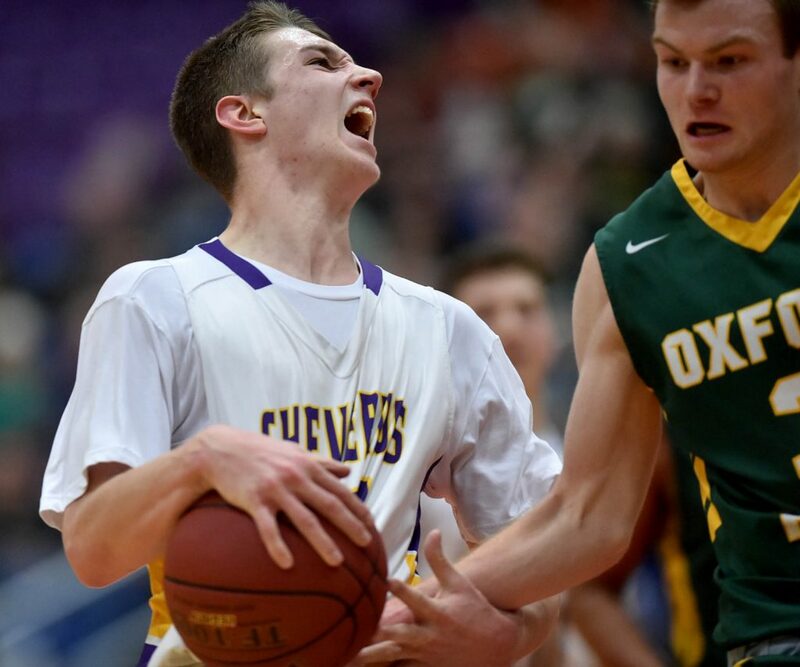 Verrier (13 points) scores inside, only to see Owen Burke (11 points) counter with two foul shots to tie it at 43. Two free throws by Keniston with 1:25 left were matched by a 10-foot floater by Shibles 17 seconds later. Carson hit a foul shot with 10.2 seconds left to give Oxford Hills a 46-45 lead. Casale, who scored 25 points, tied it with one foul shot with three seconds left. 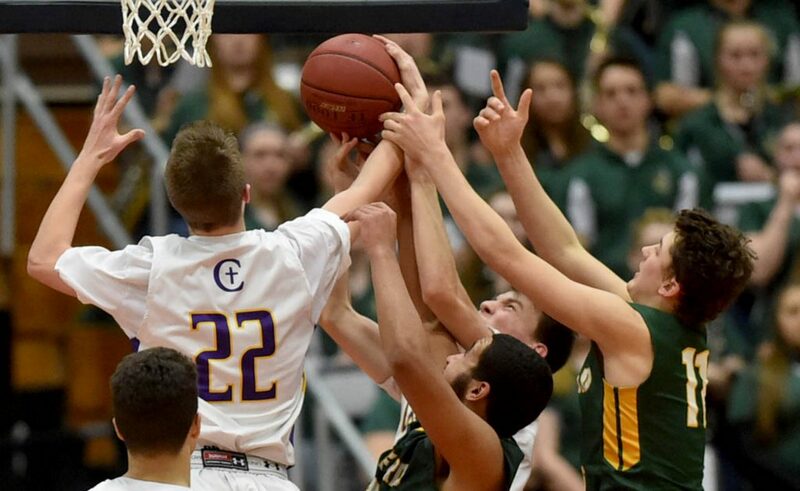 There were two more ties in overtime, the last with 2:07 left on two Casale foul shots. 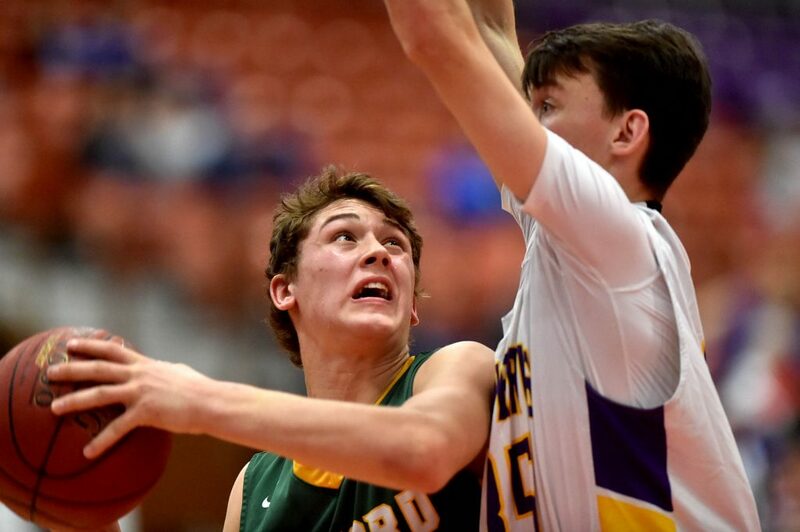 The Stags were called for a three-second lane violation with 53.2 seconds left, leading to two foul shots by Verrier with 27.1 seconds left. 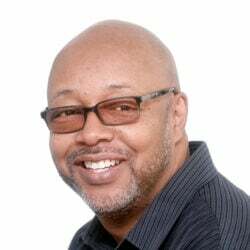 Fleming hit one foul shot with 6.1 seconds left to secure it.